...with a wild opening fiesta! Every Sunday a tribal clan painted in animal print gathers in an Ibizan woodland to prance around to the sound of drums and wicked tunes. It may sound like something out of an adventure story but is actually what goes on at The Zoo Project at Benimussa Park. Here's how it all kicks off. 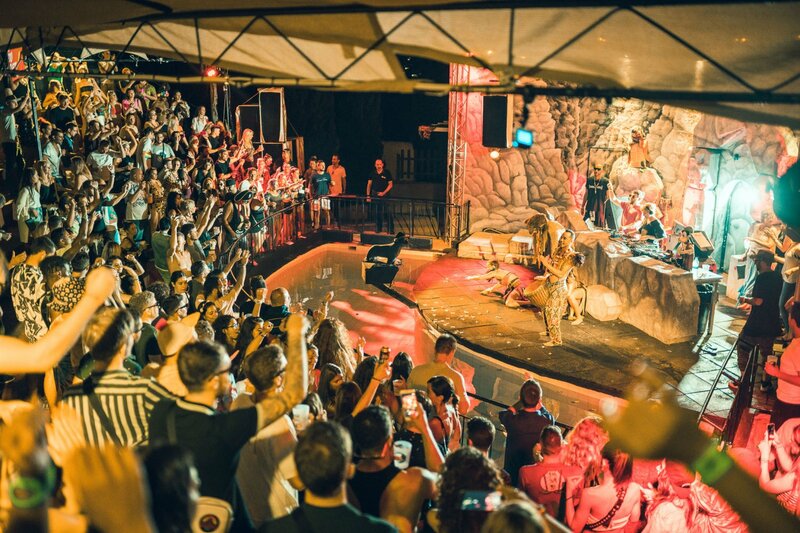 The wild crew of DJs, performers and dancers return to Ibiza on 5 May 2019 for what promises to be their best summer yet. To start its 13th consecutive season, The Zoo Project brings in Zoo residents Stephane Ghenacia going back-to-back with HighPath co-founder Thomas Roland, techno powerhouse Ida Engberg and directly from Tulum Savage & She, as new Zoo residents. And that's only the Tree House. The Living Room will be taken over by island-favourites throughout May and June, starting with MATE on the opening. Alberto Segador, Dave Hang, Emanuele Corsanico, Jacobo Saavedra, Joshel and Mackas Groove will be at it all day. There's more. After sunset, the party carries on inside with some of the Zoo's best residents: Federico Grazzini, Davina Moss and Defex for Into The Rabbit Hole and Into The Wild. The rest of the artist line-up for this year is still under wraps but normally consists of a curated mixture of Zoo veterans and dance scene superstars. Past summers have included DJs the likes of Apollonia, tINI, Carl Kraig, Monika Kruse and many more. As one of Ibiza's longest running underground parties, it is bound to deliver a heck of a time every time. Across five different stages, a multi-faceted festival-like party awaits with more than music and dancing. It's an adult playground where the wild crew are asking you to Face Your Instincts and go Into The Wild every weekend from May. For fans of the jungle vibe party brand, the madness will not be contained at all this summer. Expect acro-cats, unicycling gorillas, capoeira clowns all prancing past boutique stalls, juice bars, barbecue stands and more. Charitable in nature, The Zoo Project offers fair trade pricing on its tickets, which won't break the bank, and makes contributions to eco-friendly causes. Were this not enough, this year they've pledged to plant one tree for every ticket sold. Saving mother earth by raving sounds pretty good to us. You can join the tribal gang on the sea as well by heading out on The Zoo Boat aka Noah's Ark, the official daytime pre-party before Benimussa. Getting painted up with some wicked animal print is all part of the experience, so head on over to the make-up parlour before you go dance the afternoon away. Get ready to face your instincts and go into the wild with Zoo Project this summer. Unleash your inner animal Every Sunday from 5 May until 6 October. For full details and tickets, see below.